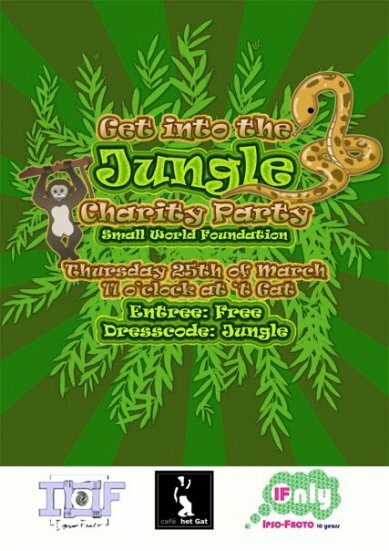 The Small World Foundation is always trying to reach the public by means of events, big or small. 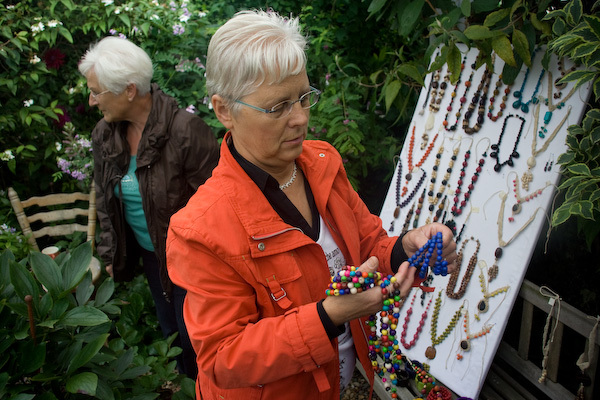 So far, members of the foundation were present on many markets, fairs, celebrations and open-garden-days throughout the Netherlands (please check out Calender of Events). 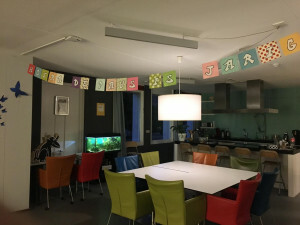 Together with biological vegetarian restaurant Zeezicht in Wageningen, charity dinners have been organised, and Wageningen Student Organisation Ipso Facto dedicated a complete charity party to San Martin de Amacayacu! In 2014, the children of the Aloysiusschool in Geesteren (Overijssel – NL) organised a charity run to raise funds for the kindergarden project. 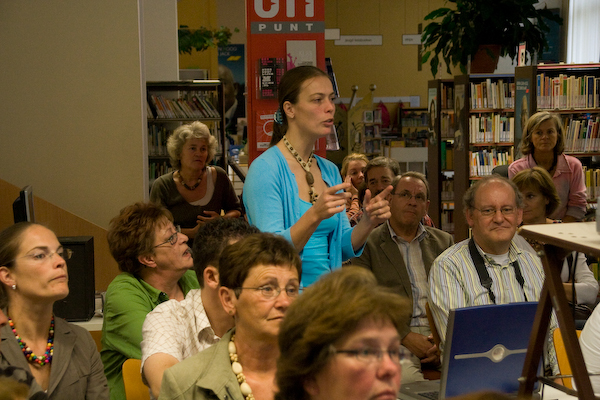 For years and until 2017 the municipalities of Baarle Nassau and Hertog organised a yearly town breakfast. A Small World Foundation friend sold lovely banners to friends and family and managed to get a stand on a fair to sell his handmade items. 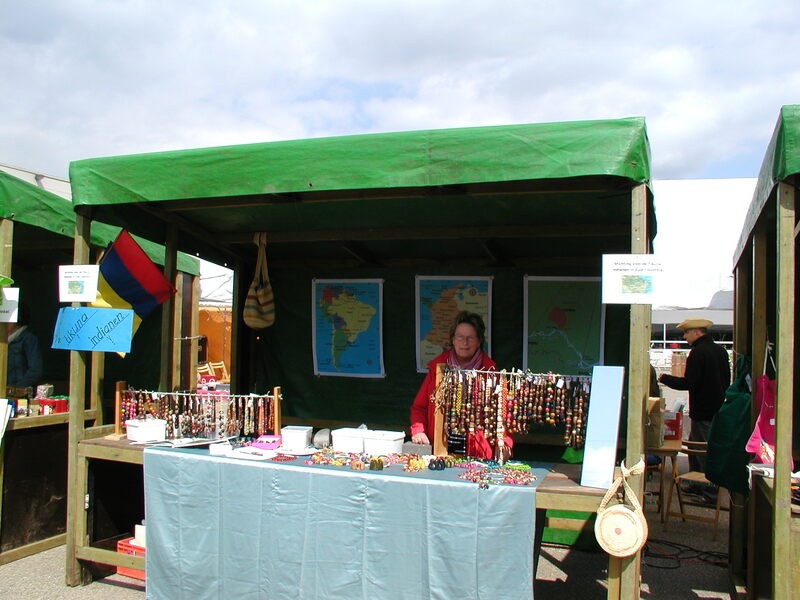 In short, these are excellent examples of opportunities for people from all walks of life to get first hand information about the situation San Martin de Amacayacu, express their support and buy the unique handmade jewellery from the Amazon. Further, the Small World Foundation has organised yearly public presentations on several different locations with amazing video images and beautiful photographs, showing in great detail the activities of San Martin to get their ancestral lands recognised, the hardships they face and the results they have achieved. Daily scenes of life in this remote community are also included. Visitors of these presentations have always been very impressed after watching, and are even more committed to keep supporting the cause of San Martin, to get official recognition of their ancestral lands. Of course, you can also create your own event for San Martin!! You can think of charity events such as sports tournaments, high teas, walking or cycling tours, bingos, or markets with your school, company, neighbourhood, friends or family. Also you can think of public events such as charity dinners, parties, or musical concerts! Your own creativity will amaze you!! The Small World Foundation will be pleased to hear about your idea and can always supply basic support and information for your event. For information, please contact Tonny van Gils on (0031)135078003 or tonnyvangilspals@hotmail.com!